We have been moving pianos for local families, professionals and institutions for over 35 years. We move only pianos. We are fully insured and registered with the NJ Board of Public Movers. 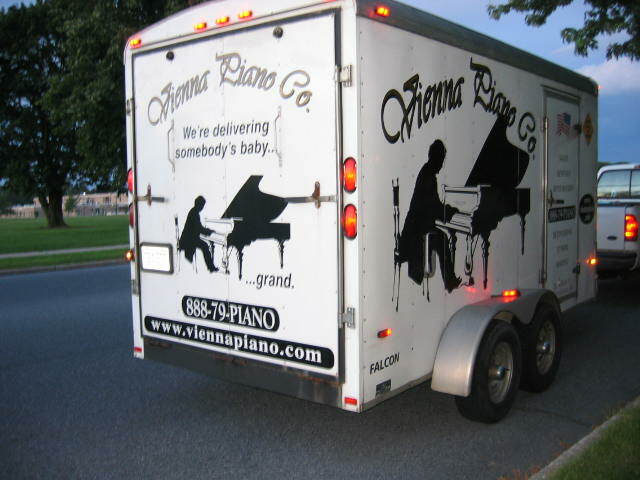 The major difference between Vienna Piano Company and other piano movers in New Jersey is our owner, Paul Simone, is on every move. Paul’s 35+ years of expertise enables him to assess your piano and give you information that may be important and your piano. Put Paul’s experience to work for you. As my company grew I realized I enjoyed being on the road. Delivering pianos that we restore, sell, or just move for our customers allows me to stay in touch with them and get feedback for improvement. I pick the piano up in the NY/NJ/PA/CT area. I have Keyboard Carriage (they are a Piano Moving service that work for piano stores and piano movers only) pick it up from me and deliver it to a piano mover that I either know already, or vet myself before using them. If I don’t know a piano mover in that area I call piano tuners first and get recommendations. It works well. I do it about once a month. The window for pick up in New Jersey is about a week and the window for delivery is four to six weeks.